Since the goals are not binding under international law, each country can set its own priorities. Germany concentrates among others on SDG 2 – the ending of hunger and promotion of sustainable agriculture. Hunger is considered one of the greatest obstacles to the development of impoverished countries, as a cause of displacement, hopelessness and violence. Even though world hunger has been minimised, this success mainly has had to do with the continent of Asia, whereas Africa is still the continent with the gravest shortcomings in combating hunger, both malnutrition and malnourishment. So much more, then, can BMZ’s launch of a special initiative be welcomed. It is “A World Without Hunger”, whose prose has a certain graceful turn: One effective tool in the fight against hunger is to stimulate sustainable agriculture. It creates income and employment and so can provide people with a secure, long-term supply of food. Sustainable strategies for the production, processing and marketing of basic foodstuffs must be developed, as well as programs to reinforce the local processing industry; resistance and resilience to crises and climate change should be increased. The significance of education and further training is also to be stressed – business and organisational skills should help farmers to form local producer and other organizations, so that small farmers receive an appropriate political voice. To achieve these proposals 13 “Green Innovation Centers” were founded, mostly on the African continent – including Ghana. The GPI links the practical with the useful and focuses on multifunctionality. With respect to nutritional value, yield and multi-use, the moringa tree and oyster mushrooms have become favorites. Numerous workshops on cultivation, use and establishing of small businesses to generate income from agricultural products should appeal to various interest groups, among them farmers with connections to the local market or families looking to boost their self-sufficiency. Other, more general workshops have also met with great interest. These have been held on subjects like healthy diets, ecological cultivation, and nutritional independence. Connected quite closely with this palette of activities is the work of the advocacies. These interest groups exist on the subjects “sanitation and hygiene”, “nutrition” as well as “bush fire” (the common but harmful practice of slash-and-burn land clearing) and they work closely together, cross-referencing thematically. 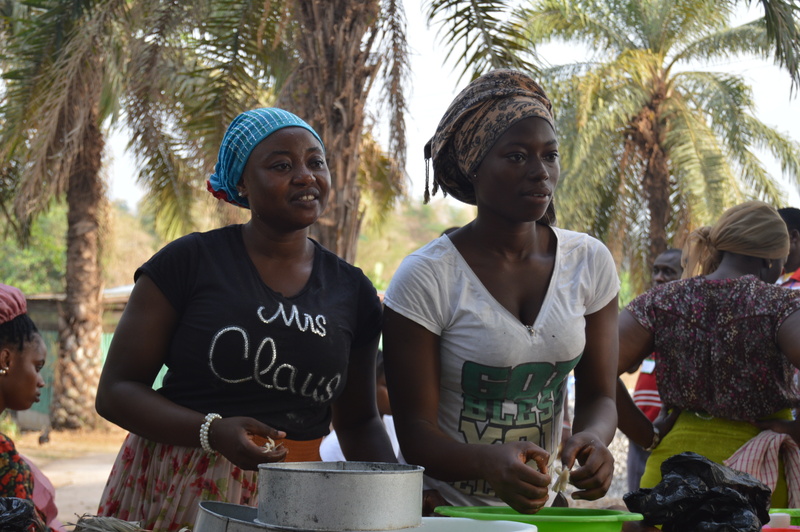 One encouraging success has been with the “nutrition” advocacy in the Brong Ahafo region. A group of women got together and founded a group, organized themselves to promote more transparency and access to information in public affairs. They even composed a song about the subject. Regular exchanges of experience with the GPI ensure a good level of knowledge, the quality of the educational work and the necessary motivation behind it all – on both sides. An important basis for the true democratizing of the system of nutrition are still educational programs, which spread knowledge of ecological sustainability, social justice and good nutrition, as was stressed only recently in the position paper drawn up by the Forum for Environment and Development concerning sustainable methods of agriculture. Just such educational and informational work is the one of the main concerns of the GPI. Up to the present time numerous workshops have taken place with the most various of topics, from seeds to food security and tree nurseries, compost and waste, and other topics fundamentally relevant to ecology. An impressive 1,300 participants – and more – have taken part, which is more than the entire project was planned for. This is success that speaks for itself. It expresses an approach which considers the challenges and needs of local small business folks. 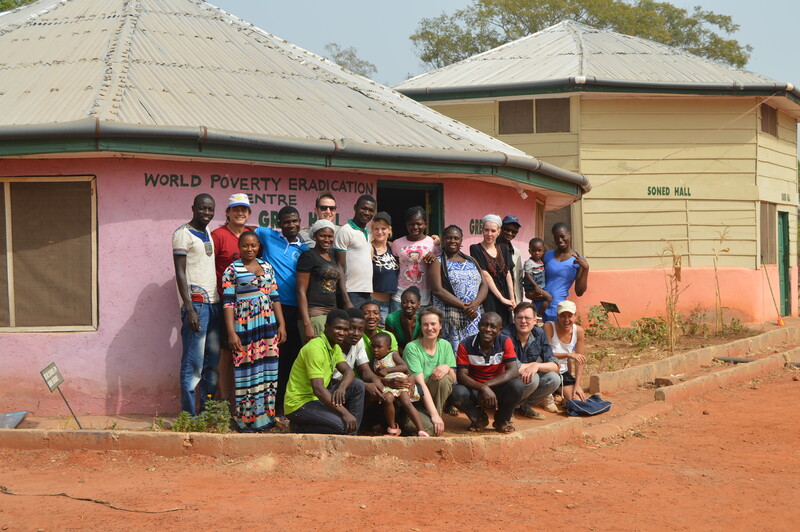 This broad-based workshop program spreads fundamental knowledge and skills via the participants even to remote areas of Ghana. This shows once again that combating hunger is a task which cuts across many sectors, which can be found within subgoals of other SDGs, not least in SDG 4. This focuses on inclusive, just and high-quality education and lifelong learning for everyone in its existential relevance. Still, with the formulation of this goal the term education has been expanded – the significance of education, from primary school through formal education, the stress on vocational training for decent work and the role of ‘skills development’, all point to the fact that it’s no longer about “more” education, but rather about “what kind of education?”. 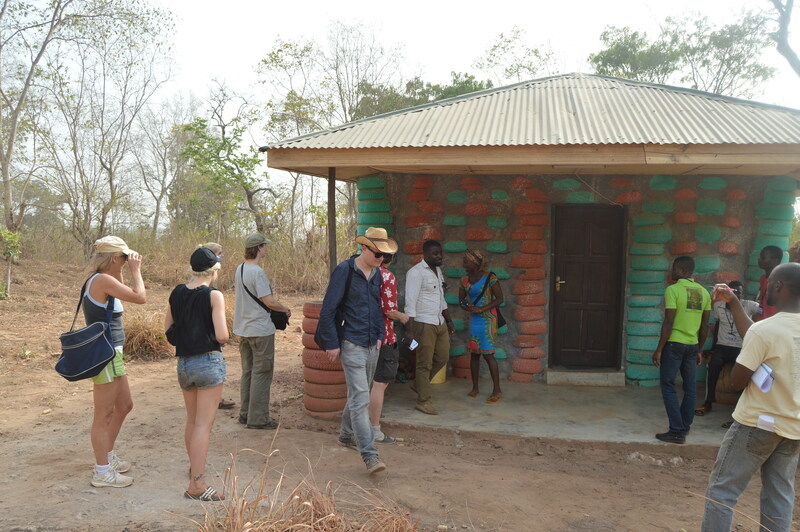 If nothing else, the entrance of sustainable development education , which should not only develop a consciousness of sustainability, but also supply the competence and tools for shaping a more sustainable world, reads like a confirmation of the work accomplished by the Ghana Permaculture Institute. A crucial success in the expansion of the educational program has been the completion of the training facility at the beginning of this year. Up to 50 interested parties now can be accommodated directly on the premises of the GPI – whether short-term visitors, students of the agricultural studies program who complete their required internship there, or as participants in the high-profile qualification program, which has been treated elsewhere (see our homepage soned.de). 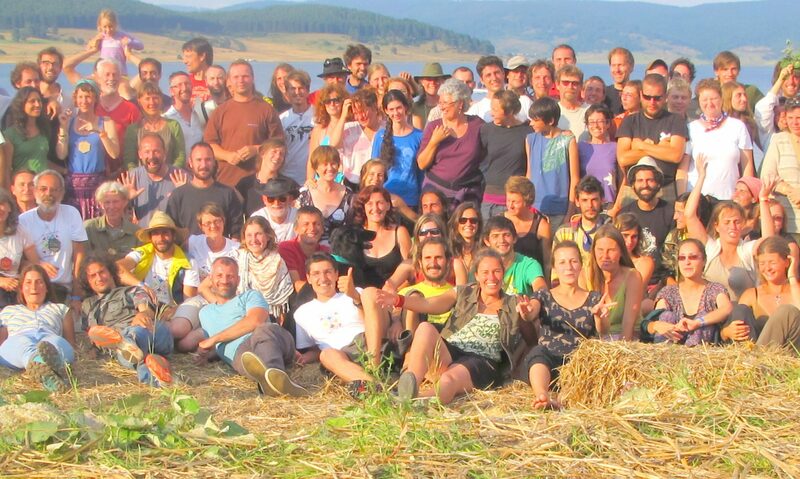 In addition, nothing more stands in the way of the ecovillage design course which is scheduled for November of this year. Participants will become acquainted with tools which can be utilized to refashion their communities – ecologically, socially, economically and culturally – with attention to sustainability. And at the conference afterwards, sustainability activists from West Africa will be able to meet with political decision-makers and representatives from various business sectors, strengthening not only international connections. The parties directly involved will be encouraged to share their experiences; instead of the unfortunately far too common exclusion of the target groups themselves, here educational programs and innovations can be developed using a participatory approach. In this way all relevant partners work together to produce development strategies. Is this meant by Goal 17 – partnerships to achieve the goals? Previous PostPrevious European Permaculture Study Credits Exchange System?